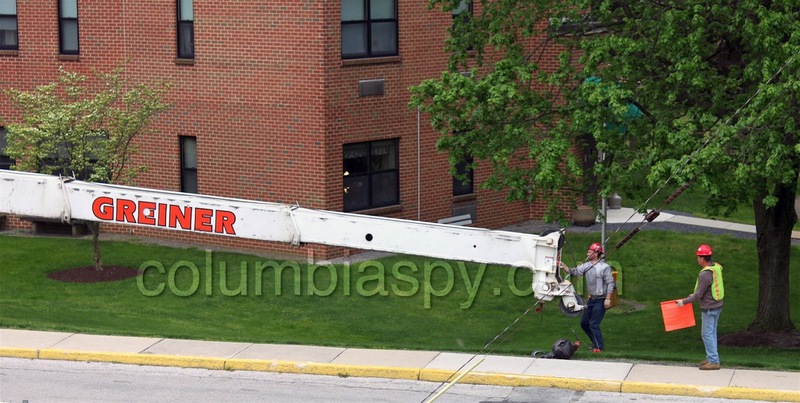 Things were looking up around town lately. 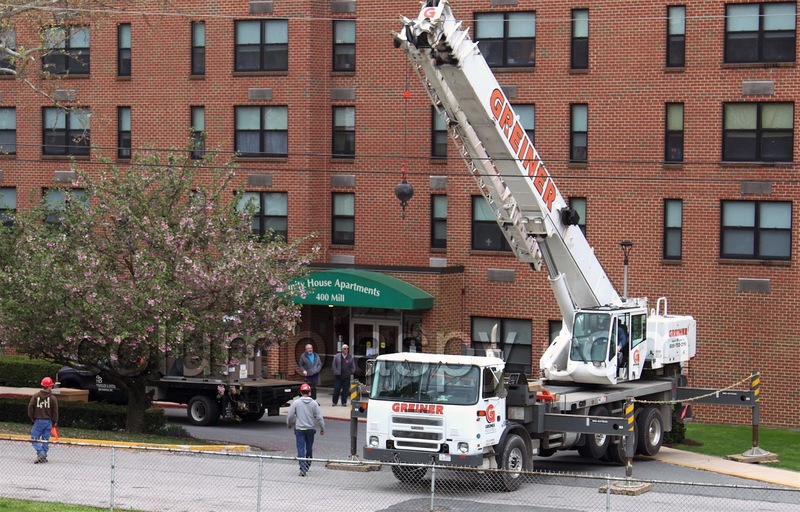 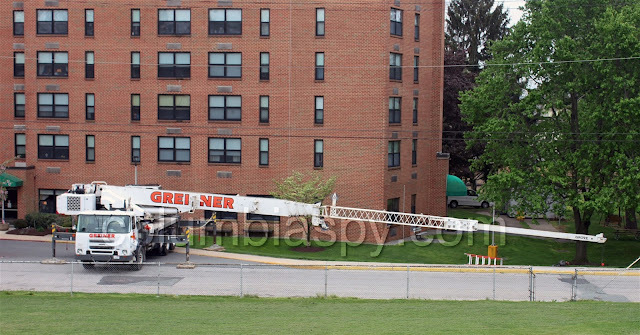 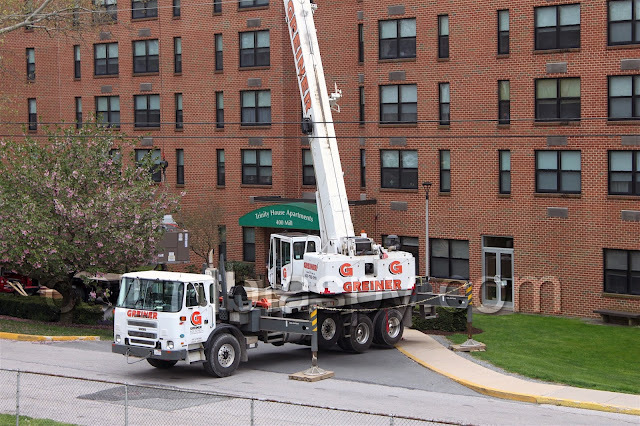 A little over a week ago, a giant crane was used to lift a new air conditioning unit onto the roof of Trinity House Apartments on Mill Street. 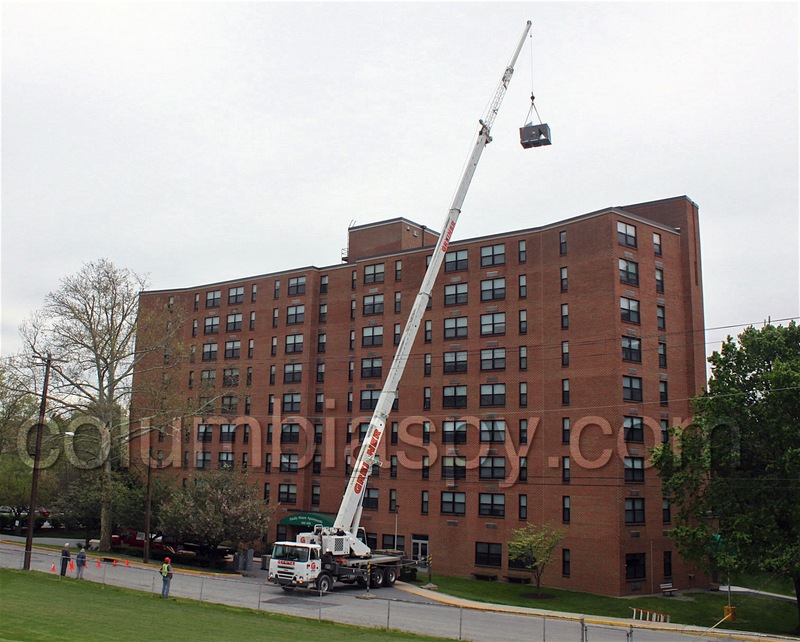 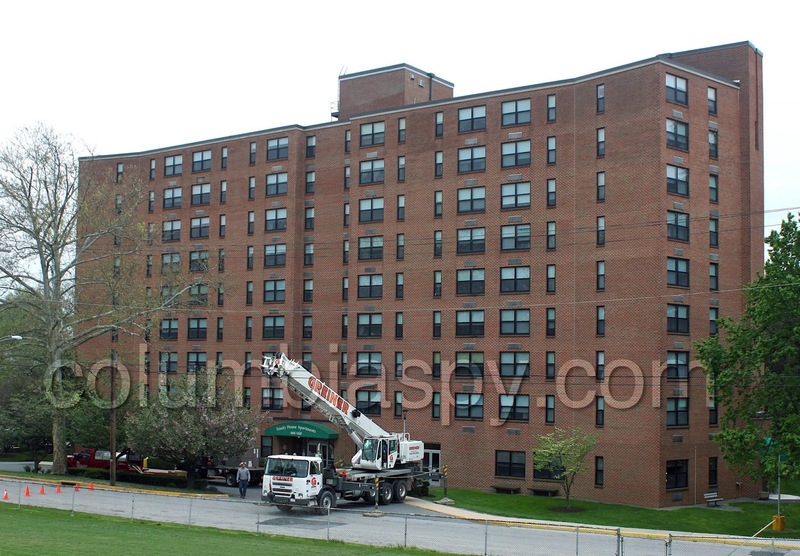 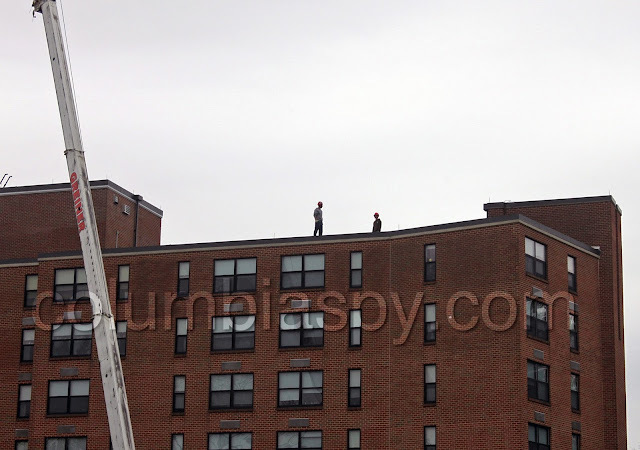 The lifting operation took over an hour as workmen waited atop the building to place the unit. 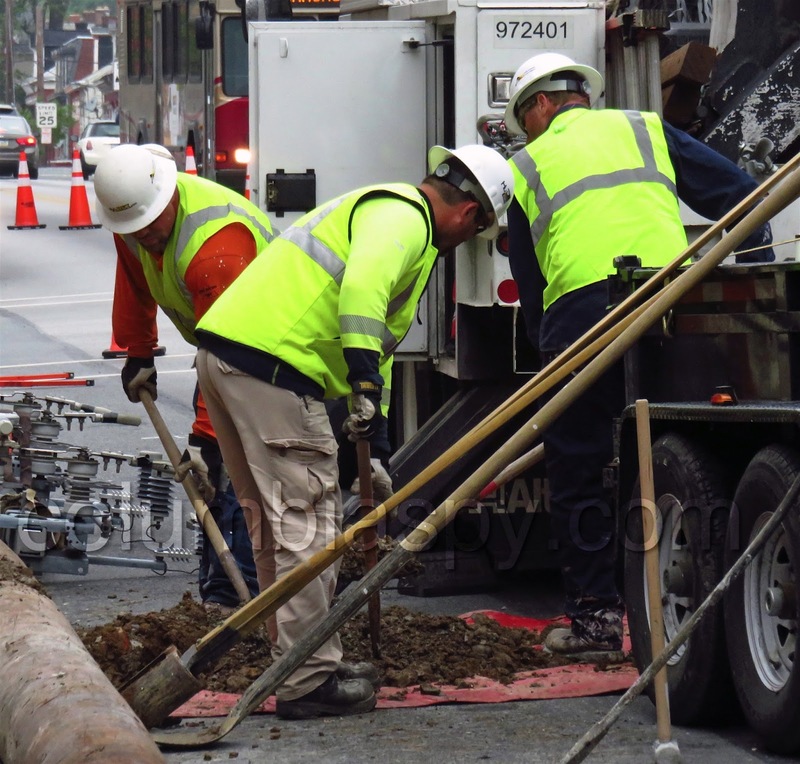 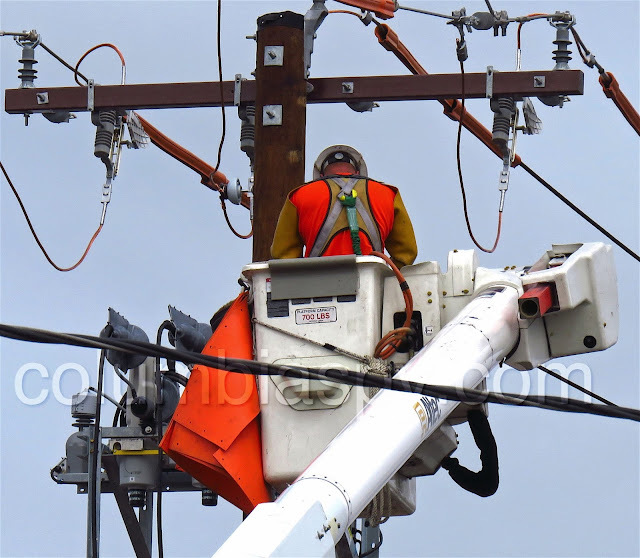 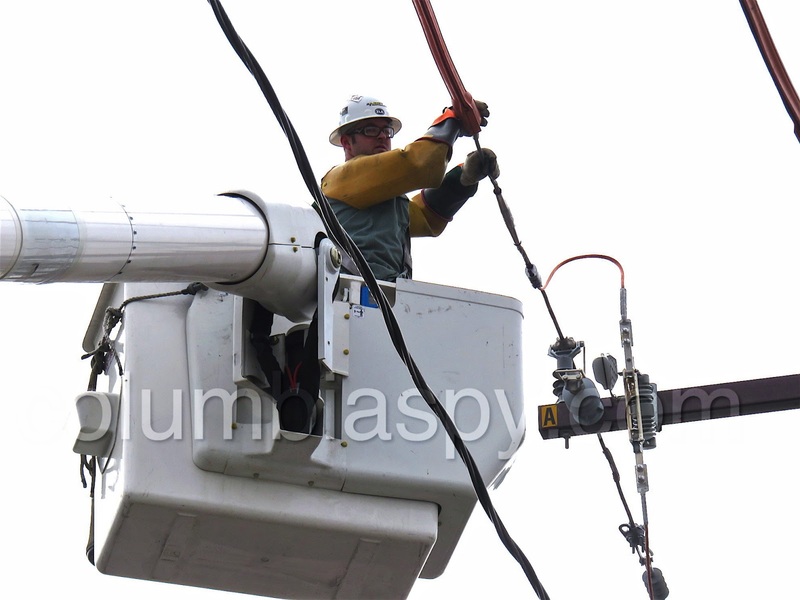 Around the same time, workers installed a new utility pole and transformer on the first block of North Third Street, in front of Columbia Kettle Works. 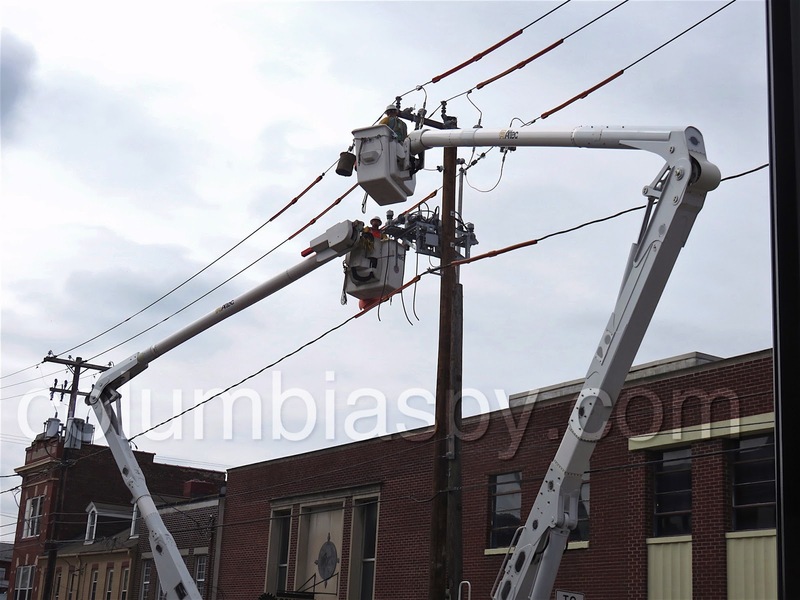 The establishment stayed open during its regular business hours as the work was done over several days. Flagger Force directed traffic around the work zone.